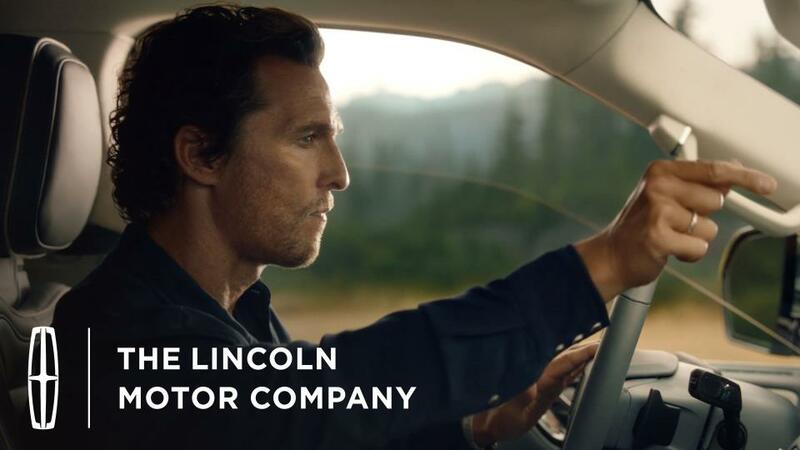 The initial campaign spot for the all-new Lincoln Navigator, featuring longtime Lincoln collaborator Matthew McConaughey, showcases the impressive, commanding presence of the full-size luxury SUV. “Perfect Rhythm,” the first of two spots starring McConaughey and the 2018 Navigator, combines dramatic visuals and eclectic music to drive home the message that the all-new Navigator is a powerful, capable vehicle that elevates travel to a new level of comfort and style. “Perfect Rhythm” premieres Dec. 28 with a 60-second spot on Lincoln’s Twitter and YouTube channels and will then air during the Jan. 1 College Football Playoff as a TV ad. A second spot will air later in the month. The piece was shot in the Pacific Northwest by noted cinematographer Wally Pfister, who also filmed the “That’s Continental” campaign, and produced by Hudson Rouge. It opens with a distant shot of the Navigator driven by McConaughey, who pulls up to a railroad crossing and stops – although no train is in sight. He soon becomes both the conductor and lead musician of an impromptu concert. The mood of the piece is a perfect complement to the Navigator, he said. The spot’s high energy captures the capability of the most powerful vehicle in the Lincoln portfolio. The exterior shots in the ad showcase the Navigator’s signature front grille, while the interior shots highlight the spacious cabin and its serene, horizontal styling. McConaughey, he adds, brings it all to life.